Ferguson’s praise – not everyone can handle it! Well, pretty much has been said regarding Otelul Galati ahead of the huge match against Manchester United, but let me take you back seven years, when the Red Devils were winning on the same stadium 2-1, against Dinamo Bucharest. At the press conference, asked to pick one of the home team’s players that impressed, Sir Alex Ferguson said “the left back”. 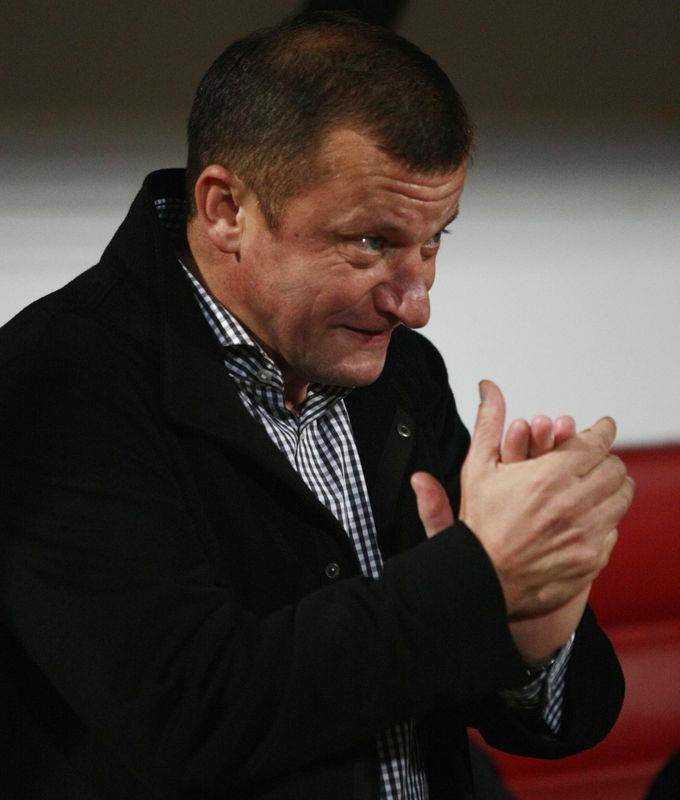 “I now regret that I haven’t made good use of Sir Alex’s praise”, reckons Semeghin for Evenimentul Zilei, where he proudly spoke about the good start he enjoys with his new club, Rapid CFR Suceava. In the Romanian third tier! He recalls shaking the hand of the great manager and is proud to say that even though he didn’t chase any of the players after the two matches, he still managed to get two extremely valuable shirts: one from Ryan Giggs, the other from Paul Scholes. “I haven’t tasted alcohol in five years, but you have to take my word for it”, says the little player, who is now 32 and heads towards retirement in the lower leagues, after 224 matches in Liga I, with around 60 of them played for none other than Otelul Galati. A team full of individuals that will try to impress in Tuesday’s match. Hopefully, Sir Alex Ferguson won’t praise anyone at the end of it! The Romanian league starts today. Here are the title contenders! The champions have a slim chance to win another title. Although the Supercup (1-0 against Steaua) showed that nothing changed with Dorinel Munteanu’s team in terms of players, tactics and hunger for success, the Champions League will surely affect their concentration in Liga I and will leave its mark on a reduced roster. Plus, the bigger clubs will make sure that Otelul will not pull another stunt like they did last season, when their title chances were rated at 67/1 by the bookies. Keep an eye on Laurentiu Bus, a small attacking midfielder who already decided the Supercup with a very nice goal, another one of Marius Stan’s top signings from the second division, but expect Otelul to suffer when they’ll be missing the impressive veteran Gabriel Paraschiv. It might not be a winning season for Otelul, but it will surely be one to remember! Since Adrian Porumboiu took over the club, FC Vaslui finished every season in a higher position and I have to say that the tradition has every chance to be respected. The club has been banned from signing new players and this brought a stability that should help them not just in Europe, but also in the first part of the season, when they’ll be matched only by Otelul and Dinamo in terms of team cohesion. 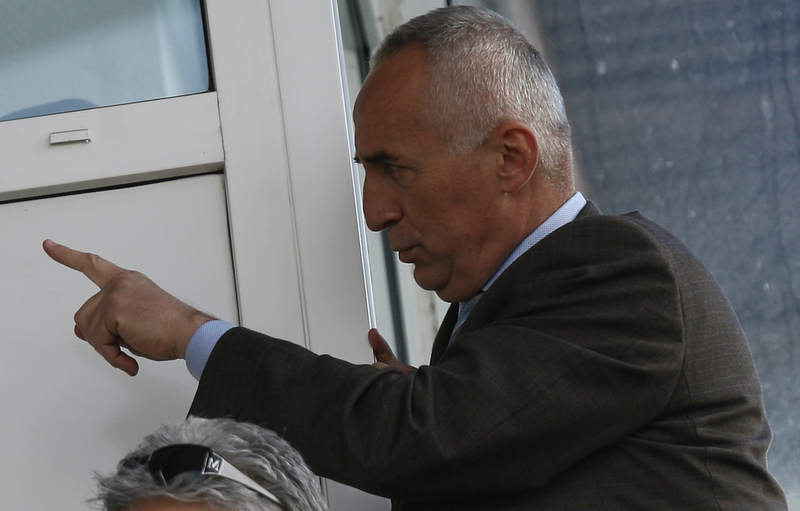 If something goes wrong, Vaslui could fix it anyway, as the wealthy owner will have a chance to prove himself between the 10th (when the transfer ban will end) and the 20th (last day of summer mercato in Romania) of September. The team relies on an excellent attacking trio formed by Wesley, Adailton and Lucian Sanmartean, but Romanian youngster Razvan Neagu, who had an off-year in his development, impressed in pre-season and might add something upfront. Razvan Lucescu returns at club level, after an experience with the national team that should serve him well. Last time he was in charge, Rapid recorded the best ever performance in Europe, but now the club will give it all for a title that, if it has a chance to return to Bucharest, than this is the best equipped club of the “big guns”. 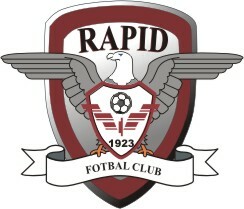 Rapid lost some quality players like Costin Lazar, Juliano Spadacio and Marius Constantin, but they’ve made good moves on the market, adding the likes of Alexa, Apostol and Deac, all national team players, without spending much. They might need some time to gel, but they’ll be very difficult to break down, will remain a force at home and, with more consistency, they could be going all the way. It was all looking good for Steaua, after the arrival of Ronny Levy, but the Supercup showed exactly the same team that disappointed last season. Well organized at the back, but lacking creative midfielders and prolific forwards, this club has big chances to disappoint once again, especially after the decision to abandon the stadium that has recorded basically every success achieved by the red and blue outfit. Ciprian Tatarusanu might play his last season for Steaua, as he should move abroad soon enough, and I’ve decided to “gamble” on Rusescu (yet another transfer from the dead and buried Unirea Urziceni), as I consider Florin Gardos more of a certainty, after his excellent first season in Liga I. The club lost contact with the fans, had a summer in which Liviu Ciobotariu (finally confirmed as head coach) looked like he was preparing the team for another coach and will start a season without the same hunger for success. There are problems in the board and the players often look to be playing for personal success only, hoping for moves away that obvious talents like Gabriel Torje or Marius Alexe are yet to complete. In spite of its strike force, Dinamo should struggle with the same fragile defense and a very thin midfield line that will be lacking steel and ability to protect the unreliable back four. CFR had a terrible season, but finally looks once again eager to fight for the league. They have in Jorge Costa an ambitious coach and the sort of person that can dominate a dressing room disrupted in the past couple of season by the Portuguese legion. It’s still there and with a number of new faces, but the key is to get team captain Cadu in the right state of mind. P.S. You should also check this interview, to have a better overview of the league, ahead of the new season. Igli Tare is expected to watch Cristian Sapunaru from the stands in the Romania-Bosnia game, with reports saying that Lazio is willing to pay up to 7 million Euros for Porto’s right back and have prepared an wage of 1 million Euros per season for the player. Sapunaru’s deal with the Dragons will expire in 2013. Dorinel Munteanu has qualified Otelul in the Champions League’s group stage, after winning the title, but is struggling to get the deal he wants from Marius Stan, the club’s president. Munteanu wants 300.000 Euros per season, a sum Otelul isn’t willing to pay, so the coach might be a champion out of contract, this summer. Second place and qualified for the preliminary stages of the Champions League, FC Timisoara finds out today UEFA’s decision. The Viola outfit might lose its licence due to some financial problems that could have been easily solved and, at the same time, not just its place in Europe, but also the one from Liga I! Rapid’s owner, George Copos: “Having again Razvan Lucescu (the current national team coach) on the bench is a beautiful dream”. Cristiano Bergodi is linked with a return to Steaua. After getting the sack for showing the guts to ask Gigi Becali to step out of the team’s dressing room, the Italian’s chances should be slim. Very slim! As you probably know by now, Otelul Galati has won the Romanian championship. What you probably don’t know is who in Unirea Urziceni’s name is Otelul Galati. Prepare for a shorter walk than the 200 kilometers the club’s president promised to go on foot, back in November 2010, when all this was just a joke, as I will present you the club every Champions League participant will want to meet in autumn, in the group stage. In the summer of 2009, Marius Stan, Otelul’s president, was offering a two years long deal to the most capped Romanian player in the national team’s history, Dorinel Munteanu. The man who represented his country 134 times had returned home, to Cologne, angered by accusations of match-fixing launched by former employers. Trying to clear his name in court was the right thing to do, but the wisest thing was to do it on the pitch. And, two years later, “Munti” was winning, against all odds, a league that had no less than six contenders at the beginning of the season, who tried everything to stop him. They came across a stubborn, determined, workaholic team, that multiplied by 11 Munteanu’s approach to the game he never cheated as a professional, and failed. Marius Stan, the happiest bet loser in the world! You might have heard of a certain Lakshmi Mittal. Yes, the wealthy owner of QPR, who will face the likes of Roman Abramovich in the Premier League, but, at the same time, might challenge the Russian’s club in the Champions League. And that thanks to Otelul Galati, the club that dreamed to become the Eastern Europe’s Chelsea, when the city’s immense steel factory was bought by the Indian’s company, but rarely received more than survival money, in Liga I. This is the first title in the club’s history, which starts in 1964 and records the first promotion in the top flight in 1986! Two years later, Otelul was playing in the UEFA Cup against the mighty Juventus, recording a memorable 1-0 at home, before losing 0-5 in the second leg. “La Vecchia Signora” was counting on names like Stefano Tacconi, Alessandro Altobelli or Michael Laudrup, while Otelul’s midfield was built around a certain Marius Stan. 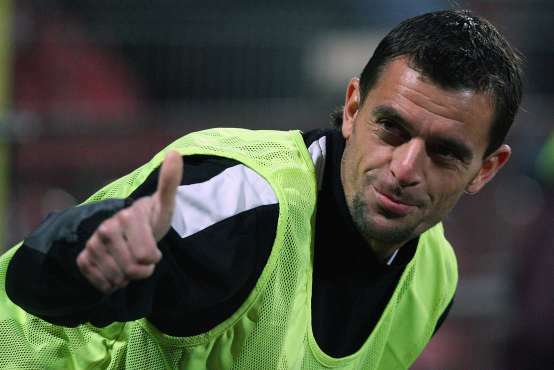 With him at the helm, the red and white club from Galati was going to win the Intertoto Cup in 2007, a feat followed by a quick exit from the UEFA Cup. "Munti" still hopes to take over a team in the 1.Bundesliga, but can wait for another year. In his first days as a coach, Munteanu tried to implement a 4-2-1-3 setup that was used on a large scale in the 1.Bundesliga, a formation he kept on tweaking in the creative – finishing department, after he moved away from CFR Cluj and gained more and more experience at Steaua, FC Arges and FC Vaslui, but constantly improved the functionality of the back four, in combination with the two defensive midfielders. His tactics and the strict approach found the perfect group of players in Galati, where a bunch of youngsters raised by Otelul in the third and second tier was completed by some bargain buys from second division clubs from both Romania and nearby countries. The president’s eye for talents and ability to sign them for some tens of thousands of Euros was going to pay dividends. These players, desperate to make a name for themselves and move on, in search of better wages, added muscle and energy to an experienced back-bone formed by Sergiu Costin, Gabriel Giurgiu and Gabriel Paraschiv, who offered inspiration (you can find here Paraschiv’s incredible request to get a wage cut!) and ensured that Munteanu’s requests are fulfilled both during the very demanding training sessions and during the matches. Rapa versus Messi, Neagu tackling Cesc, Ilie racing past Lahm? There are no standout players in this team. Can’t find a lot of flair and the skill lost its importance with the 11 bees spending more time off than on the ball and this team could get slaughtered in the Champions League. We thought the same in September, in November, Marius Stan was promising that he’ll walk from Galati to Slanic Moldova (that’s 200 kilometers, Forrest! ), if his team wins the league, and we were sure in March that Otelul will drop from the top of the table so bad, that the team won’t even be able to secure a place in Europa League. The players were buzzing though and just managed to hang on, taking advantage of the fight between the other title contenders and some game-winning mistakes in their favor, committed by the refs. They were used to fight for survival and, this season, they did it. Just that they were defending the 1st place, not the 14th! Who is Cornel Rapa? A 21 years old right back, who didn’t stay long in the U21, before moving into the senior national team. Ok, that’s not very hard, judging by the current level of Romania’s squad, but it’s still something that doesn’t happen too often. Ionut Neagu has an interesting story too. He was playing for CSM Ramnicu Sarat in 2009, simply the worst team in the Romanian second division, when he was called back to Otelul during the winter break. Offered the chance to start in central midfield, he was going to lose that place only when injured or suspended. Liviu Antal, Laurentiu Bus or Adrian Salagean are Marius Stan’s findings in the second tier, while Branko Grahovac and Milan Perendija are the winning bets placed by the same guy on the foreign market, somewhere he didn’t do very well, in the past. FC Vaslui’s title hopes suffered a blow yesterday, when Adrian Porumboiu’s club dropped two points against Astra Ploiesti and lost contact with the first two teams, FC Timisoara and Otelul Galati. Timisoara had no problems in putting three past Unirea Urziceni, while Otelul’s controversial win away at Victoria Branesti ignited a huge scandal, with the skipper Gabriel Paraschiv scoring from an offside position a late winner to grab all the points and stay on top of the league, with two rounds left to play. 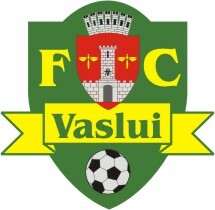 Vaslui ends another season without a trophy and it’s a delicate moment for the club’s ambitious owner sponsor, who had hopes as high as the wages paid to important players like the Brazilian pair Wesley – Adailton or Slovakian goalie, Dusan Kuciak. 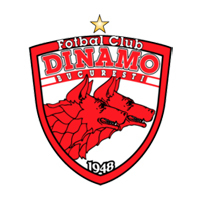 Porumboiu and Timisoara’s owner, Marian Iancu, launched an attack not just towards Otelul’s experienced president, Marius Stan, but also towards “dark forces” they have failed to identify. “They’re trying to show us that anyone but us could win this league”, stated the two, but this is a theory they too have to struggle to understand. The fact is that we’re close to a poor season, marked by the mediocrity of the title challengers and the numerous decisive mistakes made by the referees thoughout a year to forget that will be followed by yet another set of disappointments in Europe. Three contenders, three rounds to go! With the big shots from Bucharest trying to book a place in Europa League, after yet another disappointing season, Otelul Galati, FC Timisoara and FC Vaslui have only three points between them, with three rounds left to play, in Liga I.
Otelul grabbed three vital points against Universitatea Craiova, on Thursday evening, taking full advantage of the draw between FC Vaslui and FC Timisoara, and regained the top spot, looking like the favorite not just because of it, but also thanks to the easiest schedule. Next up for Dorinel Munteanu’s men is Victoria Branesti, an already relegated team, and a win will ensure a lead and the possibility of a draw in the following game, which could be a title decider, as Otelul will host FC Timisoara. The Viola also have the title in the hands, even if they’re in second place now, three wins out of three being a guarantee for a title that will repay years of some important investments and also reward the always excellent support offered by a beautiful and passionate city like Timisoara. For FC Vaslui, who badly needed a win against FC Timisoara on Wednesday, but Dorin Goga’s goal cancelled their lucky one goal advantage, have small chances to finish first, in spite of schedule that would allow them to get maximum points.